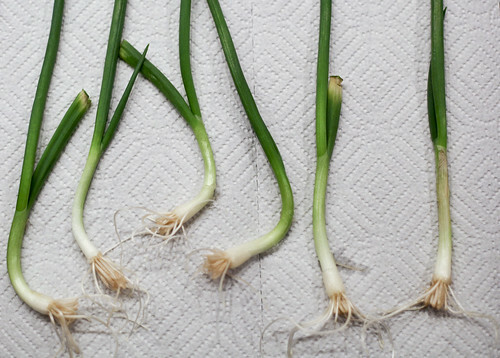 Most people don’t realize that green onions can be easily re-grown; all you have to pay for is the first bunch! It’s a great way to be frugal while still using your green thumb (at least a little). 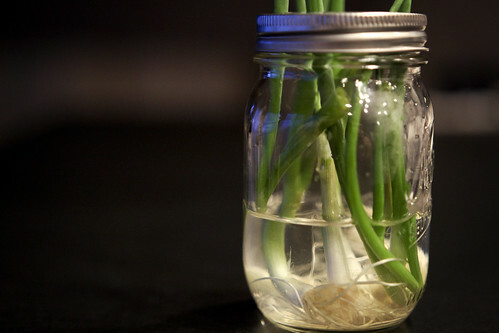 Just stick them in a jar with water covering the white part of the ends. Place them in the fridge, or on a bright area in your kitchen- both will work. Within a week or so, they’ll be ready again! You can see in the last image where the onions were last cut. The new growth comes from the center of the onion; what you see here was grown in about a week. 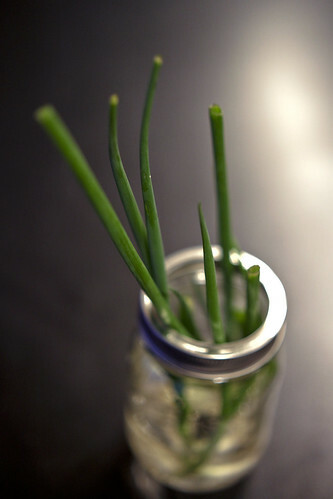 I’m a huge fan of doing this, especially in the winters when I don’t have an easy way of growing fresh onions.